With any dental procedure or problem, there are always signs that you should be aware of when the time comes. This is anything from a dental crown failing to having a cavity. However, when it comes to that dental crown, it is increasingly important that you know what to expect and what to look for when it comes to having the problem fixed as soon as you notice that something is off. 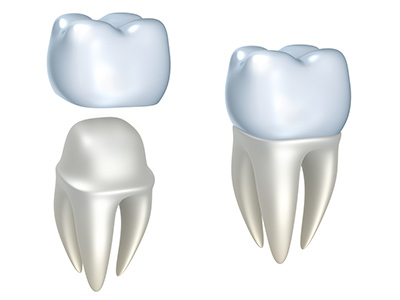 There are three common signs of having a dental crown fail. Knowing these three major signs might actually help you save the crown by giving the dentist a call and then going into the office to have the crown fixed. Any sort of severe pain or discomfort in the mouth where the dental crown is can be a sign of a failing crown in the mouth. Additionally, the crown should not feel loose or move about in any way. It should be form fitting against the tooth, so if it wiggles, this might be something you want to consider having looked at. Any sort of inflammation in the mouth by where the crown is can also be a sign that something is wrong with the crown in the mouth. You need to make sure that you are looking into getting the crown fixed in your mouth when the time comes. Any sort of pain or swelling in the mouth is something that you need to think about when the time comes. You need to feel comfortable about the crown. Speak with our office here to find out even more regarding the dental crown that you have and being able to have it fixed. You want what is best for your dental health and having a well fitted crown is the best way for you to go. Speak with our office today to set up an appointment.